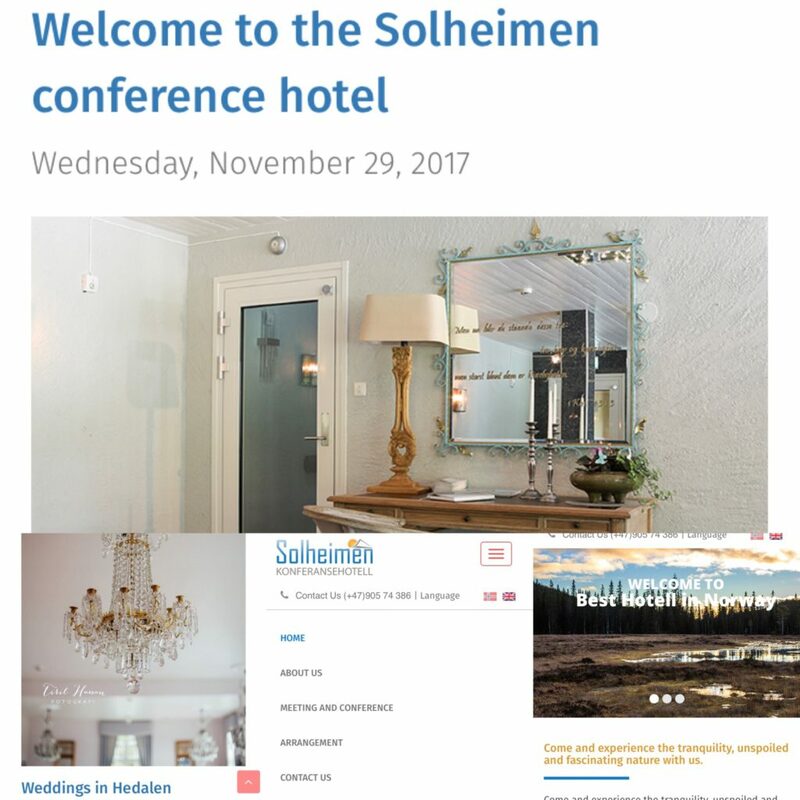 Welcome to Solheimen conference hotel’s website! We now have a new design of our website. Here you will find ongoing updates on upcoming events and stories of what has already happened. You can find us on social media and we are going to be visible in several. Like us on Facebook. Tweeter, Google Plus and YouTube are almost ready. Welcome to Solheimen conference hotel!